The genus Lycaste is native to the Americas (Mexico to Bolivia), where the various species are found at altitudes between sea level and 2500 m. Luis and Pavon found the first species in Peru and Chile and introduced them to Europe in the 1790s. They were described as maxillarias at first but Lindley transferred them to the genus Lycaste in 1843. 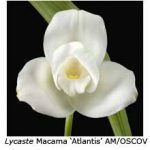 Most lycastes grow either as epiphytes or lithophytes in nature. 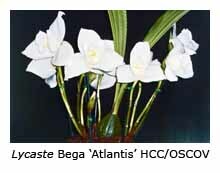 Their pseudo-bulbs usually carry two to four large, pleated leaves, which may range from 300 to 1000 mm in length. The flowers are usually produced singly and range in colour from yellow, through pink, green and orange to white. Although some species are exposed to the occasional frost in nature, most prefer minimum night temperatures of 5-10°C during winter. Maximum day temperatures should be kept below 30°C if possible, although temperatures in our shade house occasionally fall as low as 4°C in winter and rise as high as 35° C in summer. Most lycaste hybrids have medium- to large-sized plants with correspondingly large flowers, although a few species are smaller. 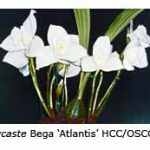 Some growers believe that lycastes need to be heavily shaded but we have found that, for good flowering, lycastes need high light levels, intermediate temperatures and moist conditions. Many lose some or all of their leaves before flowering. Lycastes clearly show their appreciation of good culture by producing large, plump pseudo-bulbs that lead in turn to plenty of flowers. A modest amount of leaf spotting sometimes occurs, mainly attributable to age. Severe leaf spotting may indicate root rot, so if it occurs we advise checking the state of the compost and perhaps reducing the frequency of watering. Most species lose their leaves over winter, prior to flowering, and therefore any unsightly foliage may be removed once the pseudo-bulbs have matured. Many beautiful lycaste hybrids are now available, some of them easier to grow and flower than the species from which they were bred. To initiate lycaste flower spikes, we reduce watering early in winter, usually at a time when the two side bracts of the pseudo-bulbs begin to turn yellow, prior to falling. 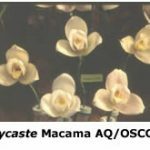 Some of our favourite hybrids are various cultivars of Lycaste Macama, which come in pale pink (‘Jocelyn’, and ‘Aline’), pale green (‘Jenny Wren’) and white (‘Atlantis’). Lycaste Sunset Gem is also a favourite because of its stunning red blooms, while Lycaste Bega ‘Atlantis’ has shapely, white flowers. Lycaste Wyldfire Superb and L. Shoalhaven have pink flowers, while L. Jason has smaller yellow flowers. 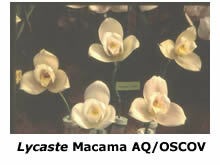 Most lycaste species require a rest period during winter, when water should be withheld. It’s important to check the temperature range under which each species grows in nature, as some require cool conditions, others intermediate. 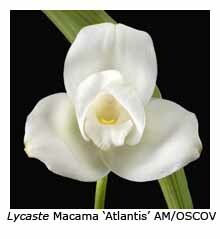 One of our favourite species is Lycaste locusta (syn. Ida locusta), which has vivid green flowers that last in good condition for weeks. We grow our lycastes in tall, well-drained pots, using 5-10 mm pine bark as the potting medium. They are best re-potted when the new growths are about 75 mm tall, and the new roots are about to begin their growth. Most lycastes are gross feeders, so we fertilise heavily when they are in growth by adding slow-release fertiliser at re-potting time, and applying liquid fertilisers regularly thereafter until the end of summer. It’s important to space the pots well on their benches, otherwise the leaves will overlap and channel water from the sprinklers away from the pots. We use no shading in winter but white shade cloth (shade factor 50-60%) is applied during the summer months. Evaporative coolers provide good humidity and air circulation, and also help to keep summer temperatures below 35°C.